Murmur Land Studios is an experimental field school initiative offering event-based pedagogy in art, philosophy, movement, ecology and camping community for the post-anthropocene era. Our attempt is to curate spaces of creative inquiry which attract diverse makers, thinkers and doers together around thematic concerns relevant to the challenging times which lay before us. We are interested in exploring the varied human and more-than-human relations that weave and co-compose new possibilities for joy and survival. In contrast to the (post)industrial model of education which characterizes the majority of academic learning today, Murmur Land Studios operates on a model of intensive event-spaces. Each event is thematically designed to foster a certain interdisciplinary dialogue, and is loosely ‘programmed’ but also open to invention and proposition. We ground our pedagogy in a philosophy of lived experience, based in traditional and non-traditional forms of reading/writing/discussing, somatic practice and technical invention. The central focus of an MLS residency-event is the self-directed creative project, which is an artistic or interdisciplinary aesthetic exploration of thought-in-motion relative to a specific field school theme. The “curriculum” of a Murmur Land Studios field school is based on a concept of the “deprogram” — a “strict” script of thematic instruction potentials that both entangles within itself and unravels propositionally as it runs or executes. The scripts share certain structural similarities but are otherwise specific to each field school theme. 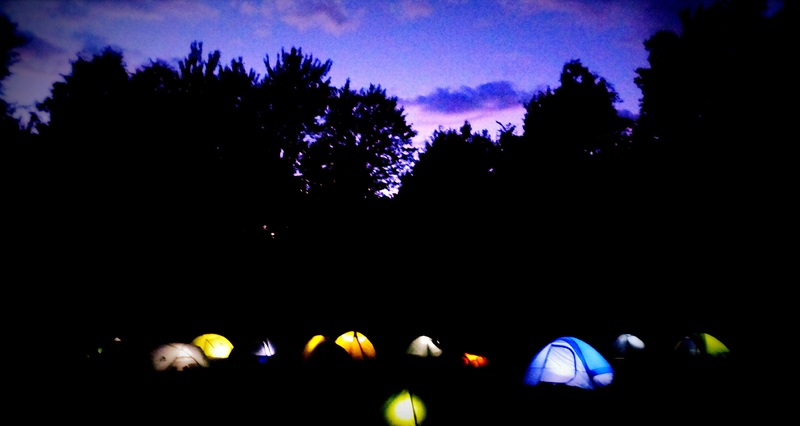 Finally, the camping community is itself also an important part of the pedagogy to the degree we are able to fold communal living back into the theme of the particular event — such that we have a school which performs itself coming into existence. We do not offer institutional credit for our events, but are happy to work with academic institutions for field study course credit. The MLS Curatorial Collective and the origins of Murmur Land Studios emerge primarily from a durational project in June 2015 curated by the Department of Biological Flow arts-research collective. Channel Surf was an open platform for arts-based research and alternative pedagogical expression that unfolded during a 200km journey paddling from Kingston to Ottawa along Canada’s Rideau Canal. For the participants of this ambulant atelier, the canal of Channel Surf metaphorically assumed the role of digital information channel, and the paddlers that of data packets invested with inventive agency in a durational co-compositional transit. The event concluded with a performative exhibition of works at Gallery 101 in Ottawa. Channel Surf was one of 5 projects worldwide accepted for the 2014-15 cohort of Project Anywhere, a global blind peer-review system for arts-based research-creation inquiry.